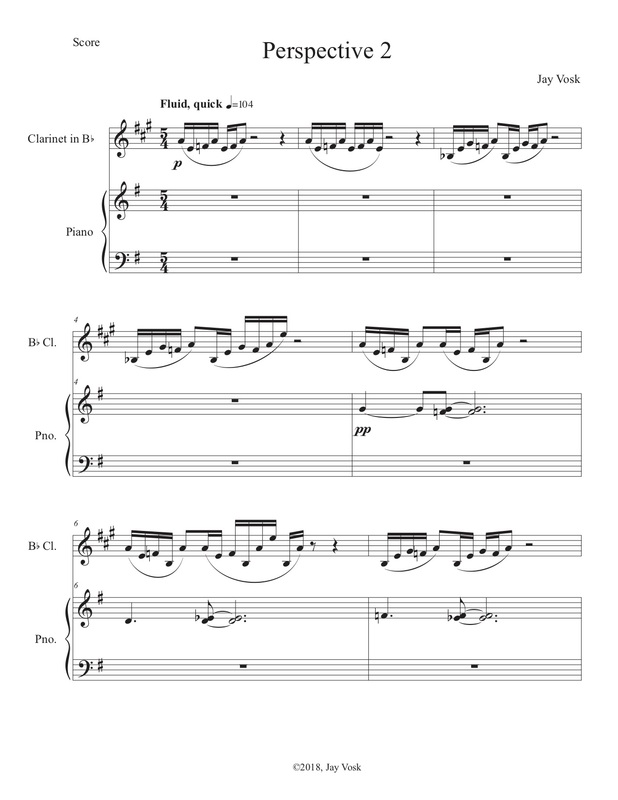 My Perspective 2 (working title) for clarinet and piano, has seen several reiterations: sparse and gentle, strident and boisterous, minimalist, to name a few. I’d finally settled on a series of preludes ( variations?. )These preludes seemed to unfold from one to the next serendipitously. As things turned out, I wound up reworking a few of the discarded earlier starts. At the beginning of the piece, the segments are in stark contrast to one another: fast,slow,fast etcetera. The work begins with quick, configurations in the clarinet.This is followed by very slow repeated clarinet pitches. As things stand, the piece is nearing it’s completion.I foresee being done in 2 or three more preludes.